Finding breast, colon, cervical and lung cancers early greatly improves the odds of successful treatment, said study author Xuesong Han. She's the strategic director of health policy and health care delivery research at the American Cancer Society. "We wanted to see if the introduction of the ACA affected the diagnosis of these cancers," she said. Although the increase in early-stage cancer diagnosis was only 1 percent, it's a significant increase that includes thousands of patients whose cancer might not have been found until it was too late for effective treatment and potential cure, Han noted. The increases in diagnosis of lung and cervical cancer were mostly among people on Medicaid, she said. A large part of the ACA is based on its "essential health benefits." These are services insurers must cover. Among other things, essential health benefits offer complete coverage for certain cancer screenings, such as colonoscopy to diagnose colon cancer or mammography to detect breast cancer, according to HealthCare.gov. Han fears that any repeal or weakening of the ACA might reverse these gains, especially if people lose their insurance coverage. In the Republican-backed repeal-and-replace bill that passed the House of Representatives earlier this month, states were given the option to opt out of covering the ACA's essential health benefits. It remains to be seen, however, if that option will ever become law. If the ACA continues as is, Han hopes screening rates will continue to increase and more people will have their cancer diagnosed early. The findings are to be presented June 2 at the meeting of the American Society of Clinical Oncology in Chicago. Findings presented at meetings are generally viewed as preliminary until they've been published in a peer-reviewed journal. Dr. Bruce Johnson is president-elect of the American Society of Clinical Oncology and chief clinical research officer at Dana-Farber Cancer Institute, in Boston. He explained that an observational study such as this one can't prove direct cause and effect. It can only find an association. 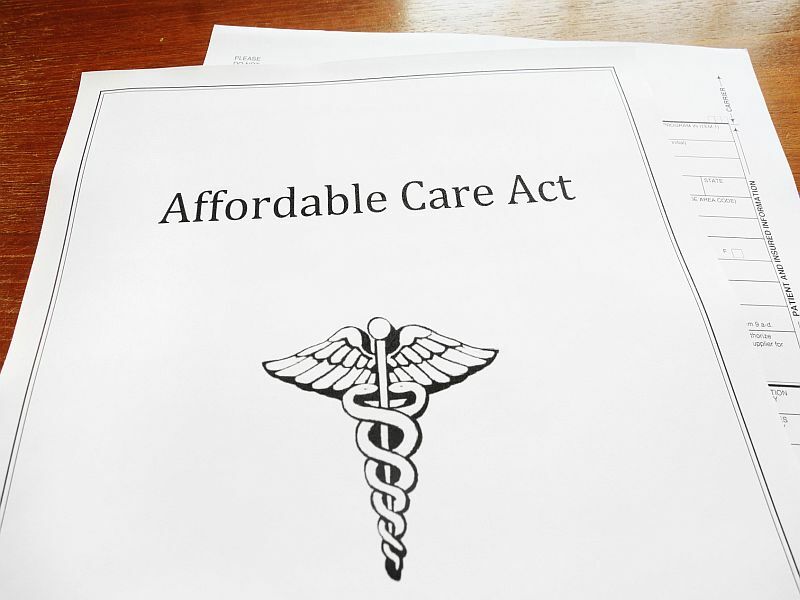 Still, the improved access to cancer screening in the Affordable Care Act is most likely what's responsible for the increases in early cancer diagnosis, diagnosing, Han said. Johnson agreed. "People in poverty present with later-stage cancer and have worse outcomes than people who are more affluent and have access to the medical system," he noted. For the study, Han and her colleagues used data from a national hospital-based cancer registry that captures 70 percent of new cancer cases in the United States. They looked specifically for cancers diagnosed during 2013 and 2014 among those under 65. Han's team found nearly 122,000 women with breast cancer. Almost 40,000 people 50 to 64 were diagnosed with colon cancer. More than 11,000 women between 21 and 64 had cervical cancer, and nearly 60,000 men between 50 and 64 had prostate cancer. Lung cancer was diagnosed in more than 41,500 people aged 55 to 64 during the study. They found that the percentage of patients diagnosed with stage 1 cancer increased significantly from 2013 to 2014 after the ACA was implemented. For breast cancer, the diagnosis of early disease increased from about 48 to 49 percent. For colon cancer it rose from 23 to 24 percent. And for lung cancer from 17 to 18 percent. The findings for cervical cancer weren't statistically significant, researchers said. The gains seen in the study are likely the result of better access to screening, Han said. Diagnosis of early stage prostate cancer, however, declined from 19 to 17 percent. The most likely explanation for that decline is that the U.S. Preventive Services Task Force recommended that men forgo routine screening for prostate cancer, Han said. Johnson said that the 1 percent gain in stage 1 cancer diagnosis over just two years was significant. It takes time to see big increases, he said. "One of the things about screening uptake following recommendations is that it's relatively slow, so wouldn't expect a big change," he said. "We think it's at least consistent with the idea that screening may make a difference."